﻿ Cecil House Hotel Brighton & Hove. JIMAT di Agoda.com! Ada soalan mengenai Cecil House Hotel? Cecil House Hotel, terletak di Brighton, Brighton & Hove, merupakan satu pilihan popular bagi para pelawat. Hanya sejauh 28.3 Miles, hotel 2-bintang ini boleh diakses dengan mudah dari lapangan terbang. Persekitaran yang terjaga dan kedudukan berhampiran dengan Muzium Memancing Brighton, Patung Keamanan, West Pier membuatkan penginapan ini menjadi tarikan. Ambil kesempatan daripada pelbagai perkhidmatan dan kemudahan yang tiada tandingan di hotel Brighton & Hove. Fasiliti utama di penginapan juga termasuk meja depan 24 jam, simpanan bagasi, Wi-Fi di tempat awam, bilik keluarga, restoran. Alami bilik dengan kemudahan berkualiti tinggi sepanjang anda menginap di sini. Sebahagian bilik menyediakan bilik larangan merokok, pemanas, panggilan kejut, jam loceng, telefon untuk memudahkan tetamu berehat dan kembali bertenaga. Sepanjang hari anda boleh menikmati suasana yang santai dengan padang golf (dalam jarak 3 km) . Cecil House Hotel adalah destinasi sehenti anda bagi penginapan hotel berkualiti di Brighton & Hove. Excellent location for us, staff very friendly, comfy beds, great view. Room was on the 4th floor with no lift. Room and bathroom could have done with a wipe , fairly dusty. Excellent location opposite 360. Comfy bed, nice shower and toilet room. Good value for money. Will definitely be going back. 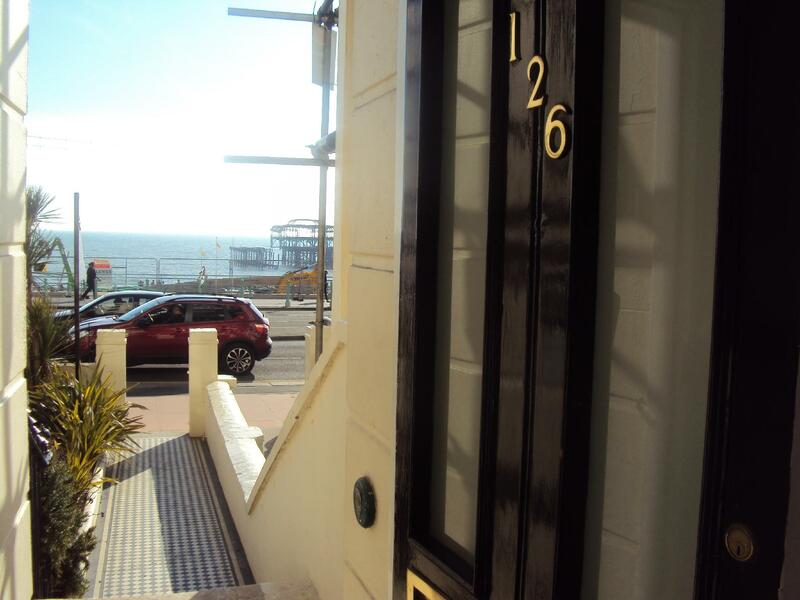 The bright airy room has a stunning view out to the old pier and the beach. The staff couldn't have been more helpful and friendly. This place is a little oasis in the heart of a bustling town. Cheap and cheerful hotel. The room was at the top of number of flights of stairs so wouldn't be suited to those who can't manage stairs very well. The WiFi kept cutting out though which was a pain. I'd stay again at the Cecil House Hotel. Guesthouse was clean, beds were comfy and staff were great. I was on the third floor, and there's no lift. Narrow doors and corridors. Wouldn't recommend for those with disabilities or access issues. An overly basic 'hotel'. Double bed is pushed against the wall so can't really sleep two. Room is very small. No wardrobe facilities. Shared toilet facilities down 2 flights of stairs which is not well advertised. Cleanliness was awful of the shower in the bedroom (not actually an ensuite). Shower didn't drain properly and the shower pump fixture was broken so it was impossible to tell if you were about to scald yourself with boiling water or turn yourself in to an icicle. Really would not recommend this hotel to anyone at all. We had an amazing time here, really quite with friendly staff. The room it self was modern. location, big room and affordable. Excellent, only problem is that you can't use Internet in the room, they should definitely start providing that. if you've not been to brighton before then throw your "value" ideas out the window - this is a very expensive place to stay. for a basic room with en suite you'll pay a night in a place that's been around for a hundred years or so... if you want modern luxury look elsewhere. this was the 10th time i've visited brighton in the last 6 years and cecil house ranks near the top of the list. it's only a 10 minute walk west of the pier, right on the front, and it's pretty good but not special in most respects. where cecil house stands out is in the customer service and the beds - there is someone on reception 24/7 and every effort was made to make sure we had a good stay. then there's the beds... you just don't want to get up - if i've slept in a more comfortable bed i can't remember it.